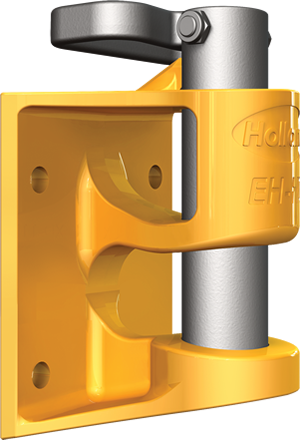 HOLLAND pintle hooks available for a variety of applications and capacities. 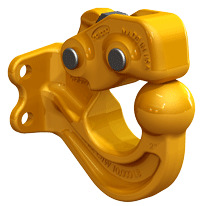 These Swivel Mount pintle hooks are for Medium Duty applications. Available for on- and off-road applications. HOLLAND pintle hooks available for a variety of applications and capacities. These Rigid Mount pintle hooks are air cushioned for Heavy Duty applications. HOLLAND Pintle hooks available for a variety of applications and capacities. These are Swivel Mount pintle hooks. 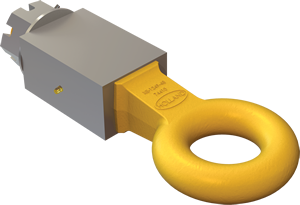 A HOLLAND coupling device intended to mate with a pintle hook or coupler. Drawbar options include rigid or swivel mount, bolt-on or weld-on, and are available with or without cushioning.